Are you frustrated with writing, writing, and rewriting email newsletters to your students' families? It takes so much time!! That's exactly where I was last year. I'd spend an hour or two a week trying to perfectly craft a newsletter via email. 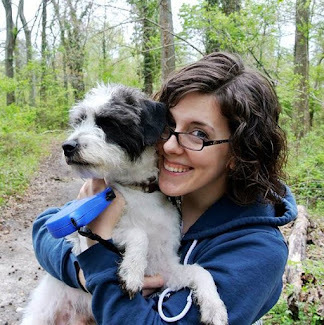 What if I told you I had a super easy, quick, and effective way of communicating with parents that takes less than 10 minutes from start to finish each week? WELL, I DO!! And I'm sharing my idea with you so you can use it and get back valuable minutes--or maybe hours!--of your free time. Yippieeeee! So here are my tips for you. I promise you they are well worth the read. You'll never go back to your old ways! 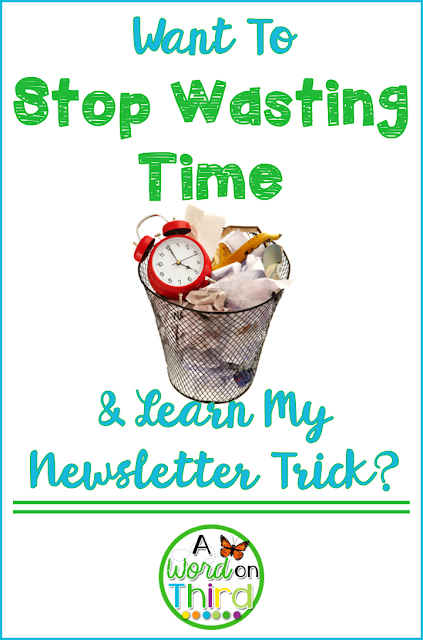 And if you don't write a newsletter right now... well start! After all, it takes less than 10 minutes each week! 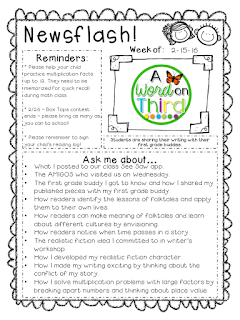 Instead of writing a long email or several page newsletter that I guarantee several parents won't even get a chance to read, you need to create a short, one page classroom newsletter. 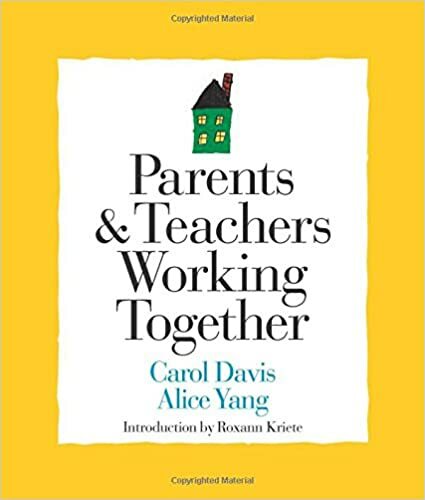 According to Carol David and Alice Yang, the authors of the Responsive Classroom text Parents & Teachers Working Together (which might be my favorite professional text ever written! ), many parents do not have the time to read your pages and paragraphs. Frankly, some CAN'T read them. If you have families who speak another language at home, this could be really hard for them if your newsletter isn't in their native language. Some don't regularly check emails, and sometimes your paper might not make its way home. You can read more about this (and a million other cool ideas) by clicking the link below to buy the book. Moreover, you spending the time writing a newsletter just ISN'T helping to build genuine, meaningful conversations about school at home. This is self-explanatory... parents want to know when the things you share about in your newsletter are happening. This is by far the coolest part of the newsletter. Each week, spend a few minutes with your class (and I literally only mean a few minutes) reflecting on what was learned. If your kids need help coming up with ideas when you start doing this, start asking questions like, "What did we learn about in math this week that our parents can ask us about?" If they say something like, "multiplication," respond by saying "What strategies did we use to multiply?" This is great to do on a Thursday afternoon as a way of closing out the day. It's a great way to review concepts learned and share what students are proud of. The idea behind this is that the parents will be asking students about the things they learned. 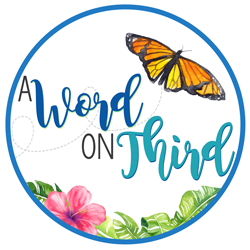 Now you've created meaningful conversations about school, you've gotten parents AND students involved in the conversation, and students are responsible for sharing what they learned. BOOM. Instant teacher awesomeness! This is a good place for you to remind parents of permission slip due dates, PTA meetings, field trip dates, early dismissal days, homework due dates, etc. Your class newsletter is now done! You can use it every week, or if you decide that's too much, you can use it every other week to start. Here's a sample of what my weekly newsletter might look like. I removed the picture of my class because I am not allowed to share pictures of my students' faces. Want to use my template so you don't even have to make one? You got it! I have one available in my TeachersPayTeachers store for under a dollar! You can use it week after week, and your parents will appreciate how easy to read it is due to its short length and predictable structure. 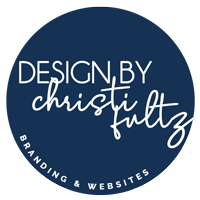 Just click the above picture of my newsletter sample to see my newsletter. Whether you use mine or make your own, I promise you that you will love this system, and so will your students' families. What are your tips for communicating with parents? Make sure to comment below to share your ideas with other readers! Make sure you subscribe to my posts to get all of my latest tips delivered straight to your inbox. You can do that by entering your email address in the sidebar where it says, "Don't miss a post!"